Birthplace : Zanesville, Ohio, U.S.
Zane Grey was an American author best known for his popular adventure novels and stories that presented an idealized image of the Old West. Riders of the Purple Sage (1912) was his bestselling book. 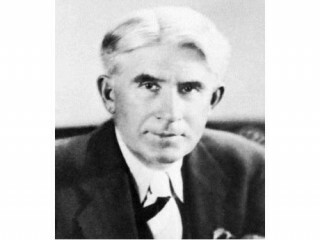 Zane Grey was a prolific and popular author of novels about the wild west of the United States, best known for his 1912 novel Riders of the Purple Sage. For nearly three decades in the early part of the 20th century Grey published a novel almost every year. Many of them became bestsellers, including Heritage of the Desert (1910), Mysterious Rider (1921) and Code of the West (1934). Raised in Ohio, Grey also lived in Pennsylvania and New York (where he practiced dentistry before he turned to writing), and eventually settled in the western part of the U.S., in California and Arizona. An avid fisherman, he traveled the world on fishing expeditions and wrote several non-fiction books about the outdoors, including 1925's Tales of Fishing. Grey was one of early Hollywood's favorite authors: during the 1920s and 1930s, the movie industry cranked out dozens of westerns based on his short stories and novels... Grey is sometimes confused with fellow western author Louis L'Amour... Grey is no relation to Lady Jane Grey.